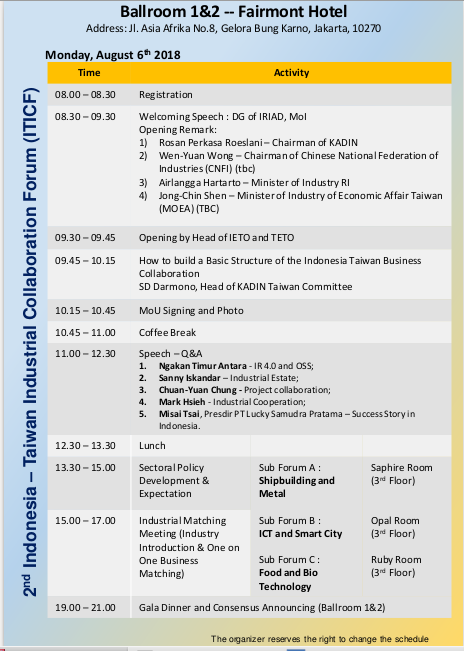 The cultural and economic exchanges between Indonesia and Taiwan are increasing steadily. To further expand the depth and benefit of the exchanges, Directorate General of Industrial Resilience and International Access Development will hold the “2 nd. 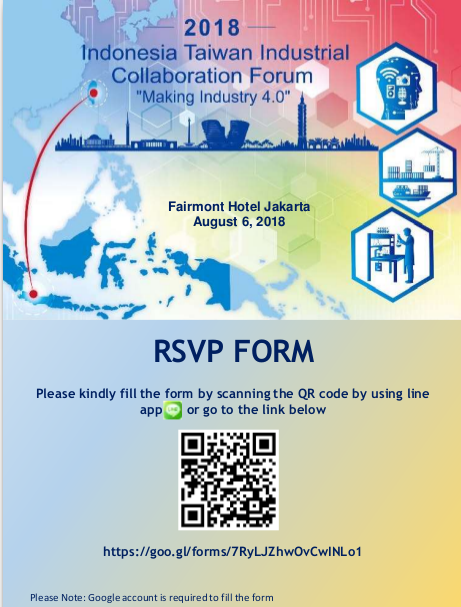 Indonesia - Taiwan Industrial Collaboration Forum” at the Fairmont Hotel Jakarta (Ballroom 1 & 2) on August 6, 2018. 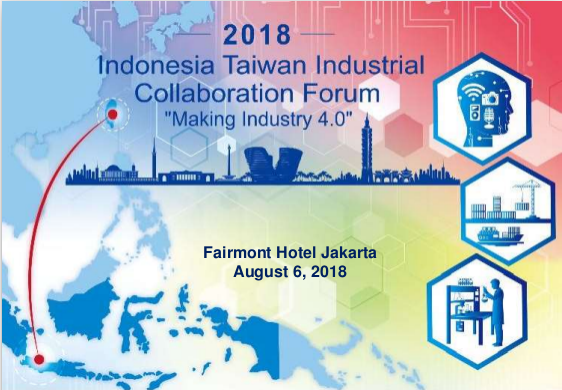 The Forum will host industry experts from Indonesia and Taiwan to discuss the future potential cooperation and collaboration in the fields of Ship building and Metal; ICT and Smart City; and Food and Bio Technology. We cordially invite you to join the Forum!